For the second week running Vale were left with only 11 fit outfield players. The pitch which was slightly frozen in the morning, had recovered by kick off but was left with an uneven surface. The game was only 2 mins old when Spartans Bremner was upended in the box and Greenhill sends Gilpin the wrong way with the resultant penalty. Things got worse for Vale in the 16 min when Greenhill was allowed space on the left to cut inside and cross for Dishington to knock home. Vale then had a chance to get back into the game in the 21 min when Stewart was brought down in the box. Allan’s spot kick was then saved by Carswell. Within 2 mins the game was virtually over when Spartans broke up the park and Lamarca turned a Bremner cross home for a 3-0 lead. Spartans made it 4-0 in the 43 min when Lamarca forced a Greenhill corner over the line. Vale made some positional changes at half time and generally appeared to be better defensively although Spartans continued to control the game. Vale almost scored on the 86 min when only a good double by Carswell stopped Stewart from scoring. The last action of the game in 89 min resulted in Corbett prodding home a Dachi cross. The Vale Man of the Match selected by match sponsor Steven Gibb of BARC Travel was Sean Stewart. The only bit of good news was that all the teams in the relegation fight lost, and hopefully if we can get our strongest team on the pitch we can start to get a winning run going. Following the verdict of the disciplinary panel on Wednesday, which annulled the game on the 23 Dec 2017 and ordered a replay, Whitehill have lodged a protest against the verdict. No date has been set for the protest review. Due to injuries and work commitments Vale arrived at K-Park with only 11 fit outfield players, which meant a make shift defence. The game commenced with Kilby attacking down both wings with ex Partick Thistle player Adam Strachan on the left and ex Rangers youth Darren Ramsey on the right and Vale struggled to contain them. Kilby took the lead in the 2 min when a Strachan cross headed in by Malcom. Kilby added a second in the 8 min when after some good interplay between Malcolm and McNeil resulted in Ramsey slotting home. Kilby were now in full flow and added another in the 22 min when Ramsey cut in from the right and found the top corner with a well placed shot. Things got worse for the Vale in the 34 min when after a short corner Strachan fired in a cross that was headed home by Malcolm. After the break the Vale appeared to be more in the game but the continued pressure Kilby meant that every attack had danger written over it and in the 60 min goal number 5 arrived when a Ramsey cross was knocked home by McNeil. Goal number 6 arrived in the 64 min when a corner to the back post was nodded home by Russell. Only some bad misses and some excellent saves from Gilpin prevented the score from going any further. Kilby were excellent on the day and their Match Sponsor Man of the Match went to Darren Ramsey, who without doubt was outstanding on the day. The gap between the top teams in the league and those mid table to bottom are there to see, and Vale should not be to despondent and concentrated on their backlog of fixtures. 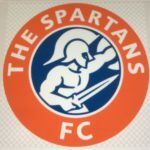 However, things are never easy and this Saturday we face another title contender at home, Spartans.